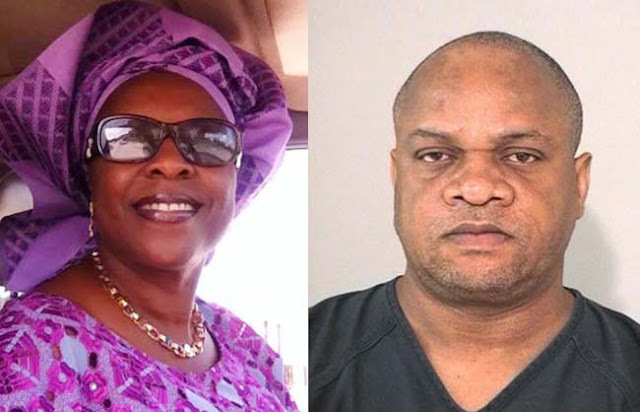 A Fort Bend County jury has convicted a 59-year-old Nigerian man of fatally stabbing his ex-girlfriend in 2015. Osa Alohaneke was sentenced to 40 years in prison. Alohaneke was charged with stabbing and killing Evelyne Epiepang in her Houston home in 2015. Alohaneke left, but sheriff’s deputies took a report from Evelyne before she left to stay with her friend, Veronica. Around 7 p.m., Evelyne learned that Alohaneke had returned to her home and was banging on the front door. Evelyne again called the sheriff’s office for their assistance. Before deputies arrived, Evelyne and Veronica went back to Evelyne’s home because they thought the defendant had left. As Evelyne and Veronica entered the front door of the home, Alohaneke appeared behind them, came inside, and locked the front door. An argument ensued and the defendant pulled a knife from under his shirt. Alohaneke first attacked Veronica, cutting her face and stabbing her so hard on the arm that it fractured a bone. The defendant then turned his focus to Evelyne and stabbed her over 30 times. Deputies arrived and located the defendant in the front yard with his hands covered in blood and on the phone with his attorney.